After some time ago featured an article about a custom motorcycle inspired by the model of the Honda Super 90, named E-Jane. 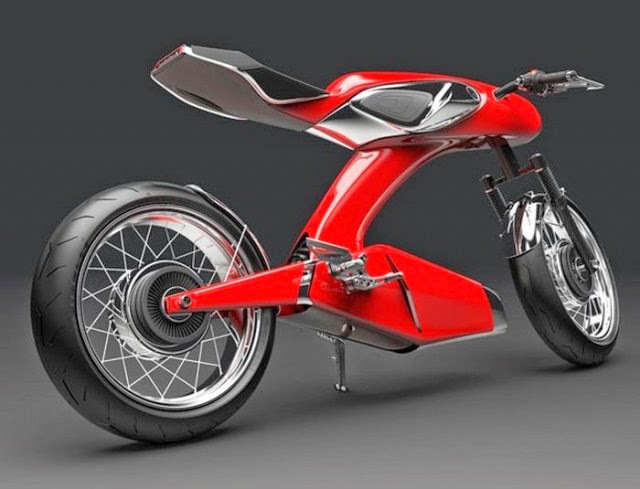 So on this occasion I will show a custom motorcycle that inspired at the same model and is the result of a Russian-born automotive designer, Igor Chak. Igor Chak has submitted his latest project to celebrate the 50th anniversary of Honda Super 90. He has come up with classic concept motorcycle that represents his love of the Honda’s design in the 60’s. 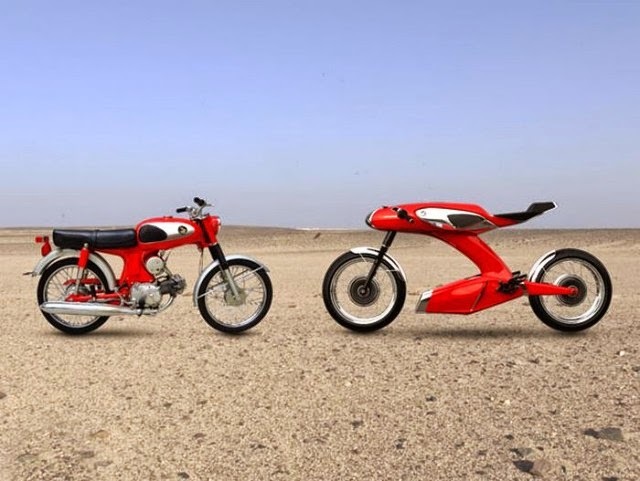 Back in the 60’s, Honda was focusing more on the lightweight and stylish bike for optimum performance in rural areas, thus, the bikes were cheaper with better gas mileage compared to bigger bikes. The iconic S90 bike also came from that era, it’s a unique motorcycle with shiny chrome tank and a stamped frame featuring a 89.6 cc SOHC, 2-valve, 4-stroke air-cooled engine that can reach a top speed of 64 mph (103 kph). This motorcycle design study tries to bring back this vintage vehicle into our modern life, it’s been 50 years since the first S90 launched. For this new design, Igor Chak didn’t really want to change anything since S90 appearance is already perfect. He only made the new S90 a bit bigger, sleeker, and more aerodynamic, the chrome is still there, you can see it from the gas tank to little accents around this bike. The main body construction keeps the same ideology intact, but unlike its predecessor, this new model features a stamped aluminum inner frame along with a carbon fiber shell for better durability and stability and a reduced weight. Being all electric, making this vehicle is an eco friendly compared to the 60’s model. 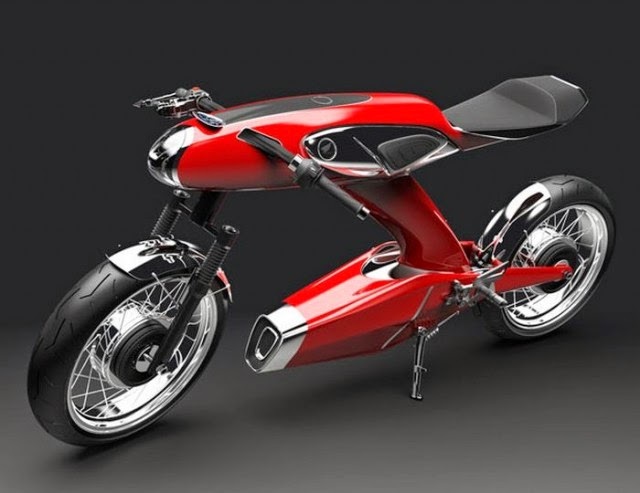 There are 2 electric hub motors, one for each wheel, making this vehicle an all-wheel drive motorcycle. Each motor is rated at 50 kW to give out 60hp at the wheel and that means 100 hp combined. The braking power comes from 2 electromagnetic braking hubs at each wheel, this means the brake requires less maintenance and last longer than conventional brakes. Those hub motors are powered by a 14 kWh Air Cooled Lithium Sulfide Battery (Li2S) which holds 4 times energy of standard Lithium ion batteries. This battery is located at the bottom portion in order to get a lower gravity point, making the bike uses less energy for better traction.